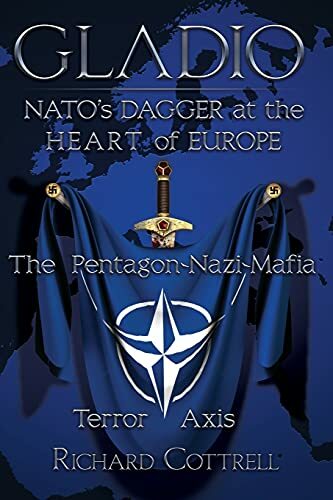 Masquerading as a rear guard against Soviet invaders, NATO's covert forces warped into psychological and physical terrorism. These were the 'years of lead,' in which hundreds perished in a synthetic war in the streets of Europe. NATO commander General Lyman Lemnitzer ordered serial attacks on French president Charles de Gaulle. Sacked from the Pentagon by John F. Kennedy for rank insubordination, then exiled to Europe, Lemnitzer reaped revenge in Dallas. The secret armies forged bonds with organized crime and neo-fascists. NATO-backed coups struck down governments in Greece and Turkey; the island state of Cyprus was sundered amid bitter genocide. Urban guerrillas like the Red Brigades and Baader-Meinhof Gang were cunningly manipulated. Italy gained a deep-state government, the ultra-secret P2 pseudo-Masonic lodge founded by former Blackshirts. Swedish PM Olof Palme and Italian ex-PM Aldo Moro were assassinated. Pope John Paul II was shot by Turkish gangsters who had regular work as Gladio guns for hire. In 2009 a Gladio copy-cat outfit codenamed Ergenekon came to light in Turkey. 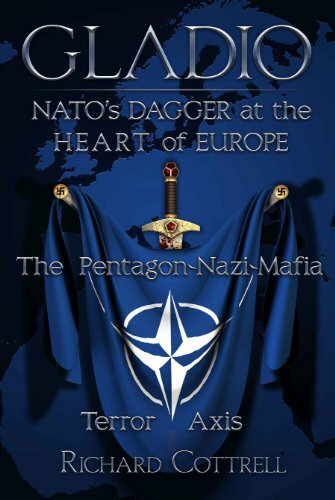 The shootings in Norway in July 2011, and in Belgium, France and Italy in 2012, all bore the classic stripe of Gladio false-flag operations. Richard Cottrell is a British journalist, politician and writer. He contributed regularly on politics and economics to the ITV network. In 1979 he was elected as a Conservative to the European Parliament. Over the next ten years he sat on the parliament’s important committees and published two books -- The Sacred Cow, a polemical attack on the EU’s farm policy, and Blood on Their Hands, which extended his parliamentary inquiry into the murder of British journalist Ann Chapman under the Greek military junta. His findings cleared an innocent man. He wrote the highly praised landmark Cottrell Report on the activities of pseudo-religious cults such as the Moonies and their harmful influence. Richard entered politics as an enthusiastic European but became disillusioned with "the inner workings of a profoundly anti-democratic system."